Empire Fighting Chance is now recognised as a major influencer within its sector. We have ambitious plans to grow, both nationally and internationally. We are looking for a combination of founding and official partners to join us on our exciting journey. A partnership with us offers a unique experience, as we aim to have as big an impact on the organisations we work with, as they have on us, based on the learnings that we have gathered throughout years of developing young people and professional boxing champions. We can help you inspire and increase customer and staff engagement through our awareness-raising campaigns, staff and customer fundraising, sponsorship opportunities, volunteering and our bespoke 1-2-1 and group programmes. Profile – a partnership with us will increase your exposure to customers at a time where the spotlight is upon Empire Fighting Chance. 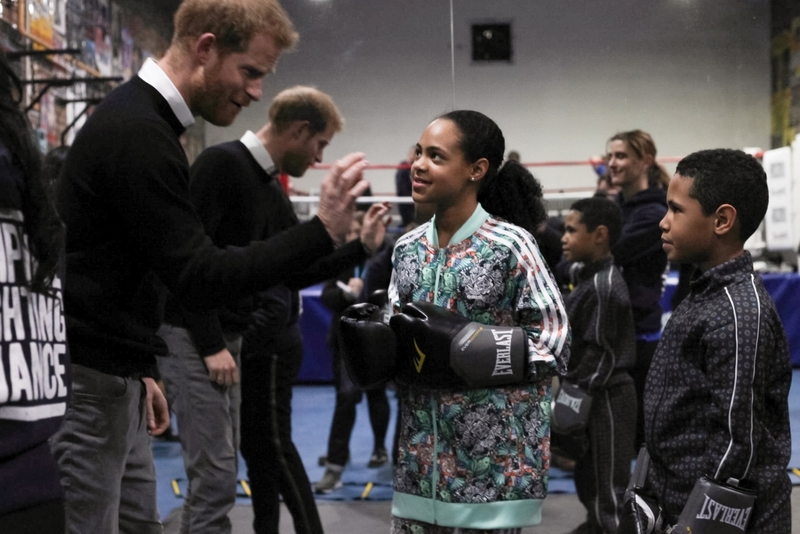 We count The Duke and Duchess of Sussex as our supporters, and they recently visited our gym to talk to young people, generating national and international press coverage. These days we know that mental health is so important and that it affects so many people, so how do we start to deal with that? In the UK we have a great affinity with sport – and I think boxing in particular – that can have a really positive impact. The thought of sitting down in a chair, one-to-one, with a therapist, can be a real deterrent. However, this is the sort of place that you don’t even realise you are being cured, but you are. Centres like this are so vital, but it’s a time where it seems like they are having to close their doors more and more. What is being achieved here is so important, especially for our young people. It really is incredible to see. Corporate Social Responsibility – Brand loyalty is key, and a key driver of where the public choose to spend their hard earned money is increasingly directed towards companies that help make a difference. In this case, your business will continue to help us make a difference on your behalf. Staff development – staff will get opportunities to learn new skills through volunteering. Improved culture – people will feel proud to work for a company that supports young people. Stronger team – staff come together while volunteering and fundraising. Stronger brand – you will improve your reputation and distinguish yourself from competitors. A desire to impact on mental health awareness, along with the full spectrum of social issues. If you would like to find out more about how we could work together, please contact our Commercial Director, James Filmer.